All aboard! 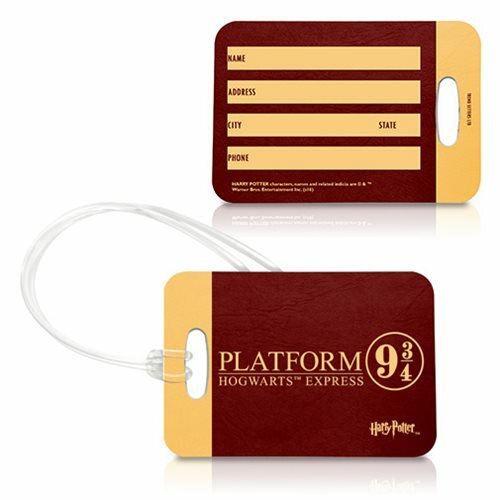 The next time you travel to Hogwarts, you'll be the talk of the train with this cool Harry Potter Platform 9 3/4 Luggage Tag on your suitcase or bag. It has the flexibility to be used as a luggage tag, keychain, or zipper pull, depending on how you choose to show off your fandom. Made of fiberglass-reinforced plastic for increased durability, with a UV-resistant surface, it measures 4-inches wide x 2 3/4-inches tall. Bring a piece of J.K. Rowling's Wizarding World wherever you go! Ages 13 and up.